If we were writing a story of reconciliation, it would only seem fitting that WA’s oldest fun run would be inclusive of the world’s first culture through Reconciliation WA. It’s easy to make the connection between reconciliation and an inclusive event like the Chevron City to Surf for Activ. ‘Moving Forwards Together’, is something Reconciliation Western Australia strongly stands by, just as this fun run is founded on demonstrating equality, encouraging both men and women to participate as early as 1975. Moving forwards together means starting at the beginning: we are all human, reconciliation is about finding shared meaning and connecting deeply to this place we are all proud to call our home, just as being fit and emotionally healthy is the foundation of a balanced life. In a collaborative effort on 26 August, a significant team of 200 plus runners representing Run for Reconciliation (Run4Rec) will seek to leverage cultural recognition and awareness from the established platform of WA’s most loved fun run. The contingent of runners is largely derived from members of Newmont Mining and Curtin University, as well as members from the broader reconciliation community in WA. “For the past 4-years, the growth of the Run for Reconciliation team has been representative of the increased state wide support for a reconciled WA.  The Chevron City to Surf for Activ is a fantastic platform for people from all around WA to run together in a show of solidarity. We look forward to this year’s event and how it enables new ways for our First People and all Australians to forge a new future together,” commented Reconciliation WA’s CEO, James Back. Visit the Run for Reconciliation Marquee and get immersed in an interactive art canvas with Urban Indigenous artists Grace Comeagain and Caitlin Lawton, or experience the spirit of moving forwards together with some ochre face painting. “We are delighted to share in a celebration of inclusiveness with Reconciliation WA. It’s ironic that in 1951 a group of families who believed their children with disability deserved better and had so much more to offer the community came together in support of each other. This is how Activ started and this fundamental belief in people is what still drives us today. That is why celebrating the cultural heritage of our beautiful course is also an opportunity to celebrate our heritage as one of WA’s first disability providers,” said Danielle Newport, Activ’s CEO. If you want to sign up for the Run for Reconciliation team as part of the Chevron City to Surf for Activ, visit the RWA and Run4Rec Facebook pages.